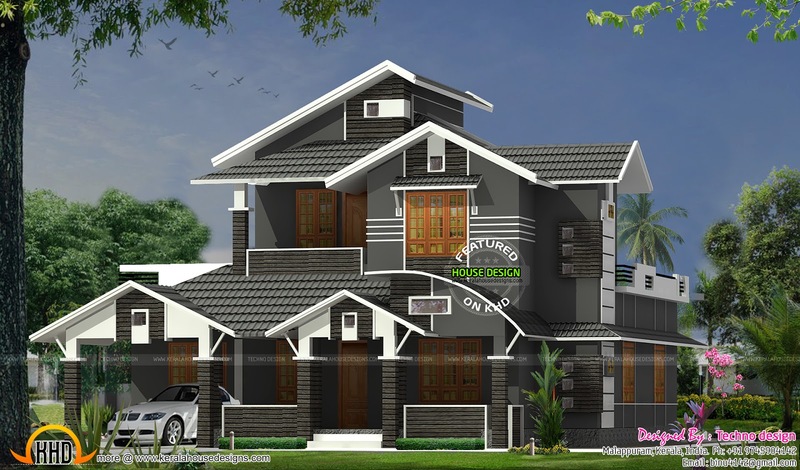 2410 Square Feet (224 Square Meter) (268 Square Yards) 4 bedroom attached mixed roof house exterior. 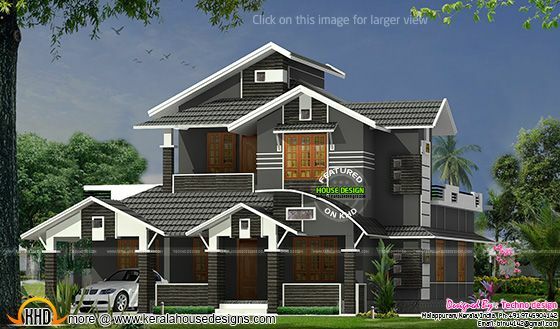 Designed by Techno design, Malappuram, Kerala. First floor : 880 sq.ft.